Review Nokia’s cheap-as-chips Windows Phone the Lumia 520 finally gave it a hit after years of decline, and the new 630 is itching to take the baton. The timing and the price of the Lumia 520 were spot on. BlackBerry had failed to update its BB7 phones for almost two years, and had nothing new to offer the budget segment of the market – its users were deserting en masse. The Lumia 520, launched in April 2013, started at £99 SIM-free, with deals knocking off up to £20, and prices fell. For that money you got a modern, zippy performer with a lot of charm. The low price took the risk out of Windows Phone, and people were pleasantly surprised by it. But a year ago you couldn’t buy a decent Android for that money under £100, while now you can – there’s now much stiffer competition in the £90 range. The Lumia 630 is launching head-to-head with the Motorola Moto E, and for a tenner more you can get a Moto G on PAYG, which at only six months old, is a thoroughly capable ‘droid. 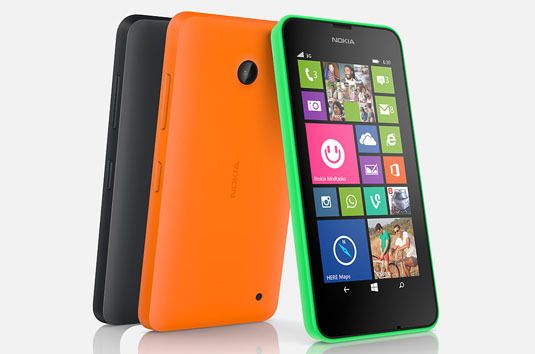 It also has an identical 4G sibling, the Lumia 635, and comes in a dual-SIM variant. How does it stack up? 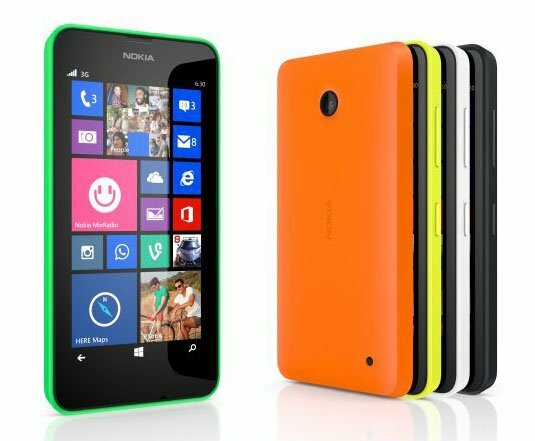 The TL;DR is: both the Moto E and the Lumia 630 are excellent value, but each has a fatal flaw. With the E it’s the camera. With the 630, it’s the absence of automatic brightness control – a quite staggering omission that I’ll come to in a bit. Nokia didn’t change the winning formula too much for the 520’s successor, although it has opted not to copy the "pillow design". The 630 actually bears a far stronger resemblance to Nokia’s feature phones, the Asha family, and the X range (the latter two are not really pitched at Western markets). Like the 520, the 630 doesn't have an LED flash, a front-facing camera, nor various fancy sensors. But it does have a polycarbonate chassis, changeable cases, and a removable battery – significantly larger this time, with 28 per cent more capacity over the 520 – which is held into place by foam pads. It has the same size four-inch touchscreen but with a slightly larger resolution of 854 by 480 pixels, rather than the 800 by 480 resolution of its predecessor. However, that increase comes at a cost of a slightly lower pixel density, as the 520's discrete navigation button bar has been sucked into the main display.